A Texas mother is complaining that she was unfairly kicked off a flight after she tried to breastfeed her son to settle him down for the flight. Thirty-three-year-old concert pianist and cancer researcher Mei Rui was traveling with her 2-year-old son and her elderly parents from Houston to Manhattan on Dec. 8. The family never made it to New York, however. She was told she was no longer allowed to travel on the flight for noncompliance to the instructions of the staff. According to Rui, she was trying to settle her son down by breastfeeding him, knowing he would otherwise cry and disturb everyone on the plane. They had already been delayed on the tarmac for over three hours. When staff told her to stop and buckle her son in as the plane was about to leave, she asked for a couple more minutes and the incident escalated. Her family was offered a full refund. Spirit Airlines removed Rui by first telling all of the passengers on the plane to get off, and then refusing to let her back on. It was the second time passengers had had to get off the already delayed plane. According to Rui, originally from Shanghai, her elderly father collapsed afterward from the stress, she wrote in a Facebook post. 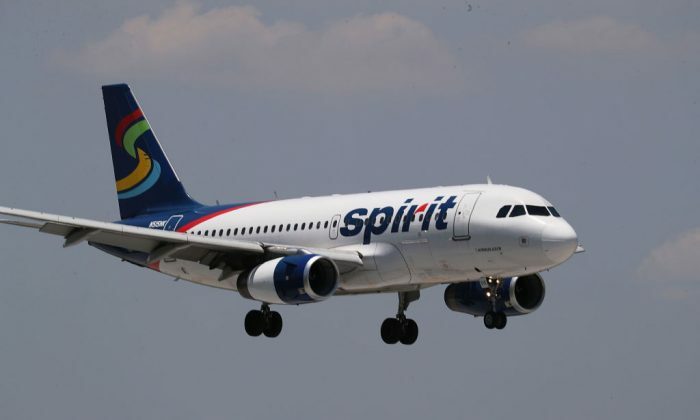 The airline, Spirit Airlines, and Rui provide different accounts of the incident. The incident occurred after a three-and-a-half-hour delay to her flight from Texas to Manhattan due to ice on the plane. The passengers first had to wait patiently inside the plane as it was de-iced. It is not clear how long the passengers had to wait on the tarmac in their seats, but one account suggests two or three hours. Rui said her son was already tired having woken up at 3 a.m. to catch the 6:30 a.m. scheduled flight on Friday morning. With the flight finally ready to leave, the passengers had just re-embarked the plane, according to Rui, and she started to breastfeed her son, hoping it would settle him into a sleep and ensure a peaceful journey for herself and other passengers. A flight attendant then told her she had told to stop breastfeeding because the plane was about to take off. However, Rui claims that the doors to the plane were still open. In the meantime, she claims, the flight attendant went back to the front of the plane and conferred with a colleague. Rui said she “didn’t want to cause any trouble,” so she pulled her son off and “forced-buckled” him into the seat. He began crying as she had anticipated. The flight attendants then returned, and she was then told she needed to leave the plane. According to Rui, she then began to question the reason for this request. Schuler noted that FAA regulations and airline policies require all passengers stay seated and buckled during takeoff and landing. “As a courtesy, we’ve issued a full refund to the customer in question,” said Schuler. Rui was met with by police on exiting the airplane and photographed by a fellow passenger. One passenger, Holly Barton, wrote on Facebook: “Flight attendants were so rude to her and tried to kick her off, even though the plane wasn’t moving or even about to move. After the woman refused to get off, they made everyone get off the plane for a SECOND time only to not allow this woman to get back on. According to flight records, the flight left 4 hours and 20 minutes late. Rui filmed some of the conversations with airline staff on her phone and uploaded them to Facebook, together with descriptions of events (the posts were publicly available until the afternoon of Dec. 11). What do you think? Share and comment by clicking the buttons below.